Owerri Police in Imo state, Frday, teargassed over 2000 pro-Biafra women on peaceful protest in Owerri. 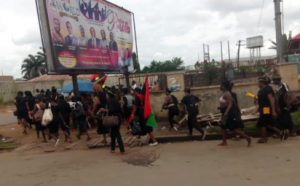 Some of the Pro-Biafra women running for their life along Orlu road in Owerri. 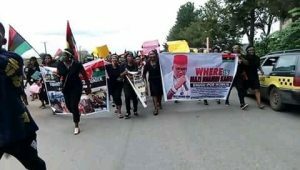 Vanguard gathered that some of the women reportedly said among other things that there would be no election in Igbo land in 2019. 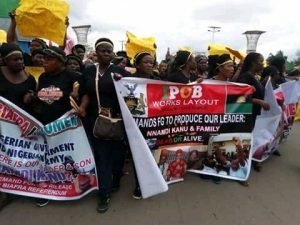 They also said that they were not happy that pro Biafra agitators have been intimidated for expressing their views. 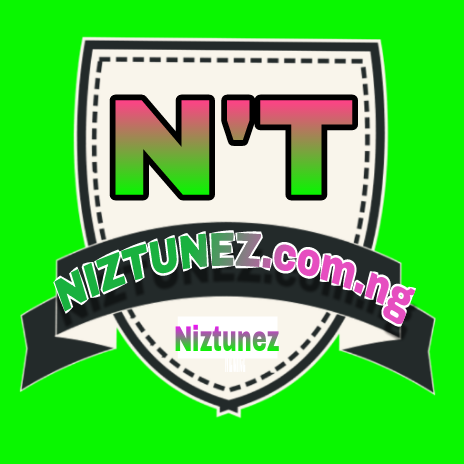 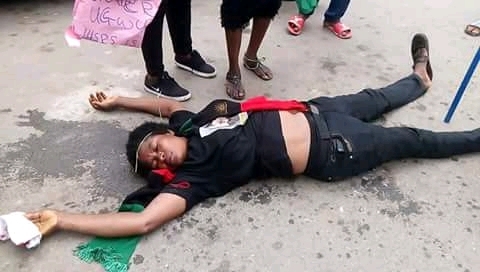 They added that it was not a wrong step for them to demand for a country called Biafra. 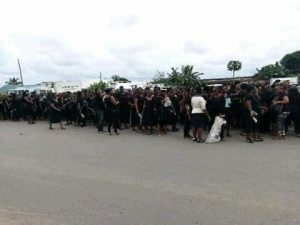 However, drama ensued when over 100 police officers with their patrol vans went after the women and applied the tactics of tear gassing the women on peaceful protest. 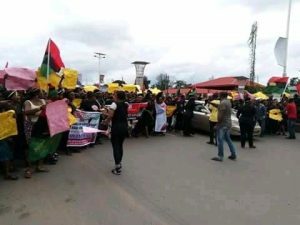 An eyewitness, who gave his name as Kelechi Iheagwoba, told Vanguard that, “As a result of the fierce looking police officers fully armed who blocked the road for the women, these women diverted to from warehouse junction to Akwakuma.